This is a complete enrollment system that you can use in recording a students information. I started working with this project using MS Access. You can benefit the use of a parent/child to grand child using a windows form and a datagridview in it. 1. 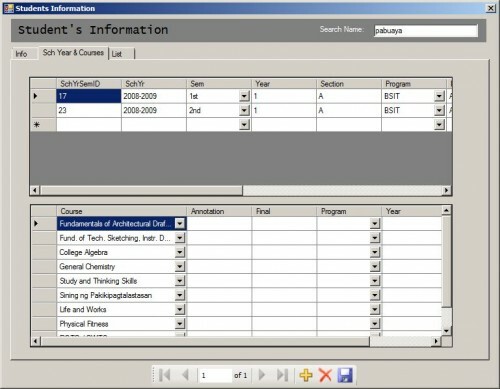 Automatic loading of subject/course from Regular Load table in Student's Information form under the School Year & Course tab. 2. A parameterized dataset in Student's Information form to search for lastname. 3. A combobox, button and checkbox inside a grid. 5. Advance reports using stored procedure.